Essanay, 1915. Directed by Charlie Chaplin. Camera: R.H. Totheroh. With Charlie Chaplin, Edna Purviance, Fred Goodwins, Bud Jamison, Leo White. Charlie, billed as "The Pest," is an elegant, bored, and very drunk gentleman who brings a night of horror to a music hall. He cannot find a seat that pleases him until he takes his place beside Edna. He tries to hold her hand and grasps her husband's hand by mistake. At this moment a gallery god, Mr. Rowdy (also played by Chaplin), pours his beer down on Mr. Pest. Mr. Pest goes to sleep when he is reseated in a box. He wakes up to find that snakes from the snake-charmer's basket have coiled around him. After a duet by Dot and Dash, who sing through a barrage of tomatoes and ice cream cones, a fire-eater begins his act. But Mr. Rowdy causes the final debacle when he beholds this performance. He turns the fire hose on the stage, on the audience, and especially on Mr. Pest. 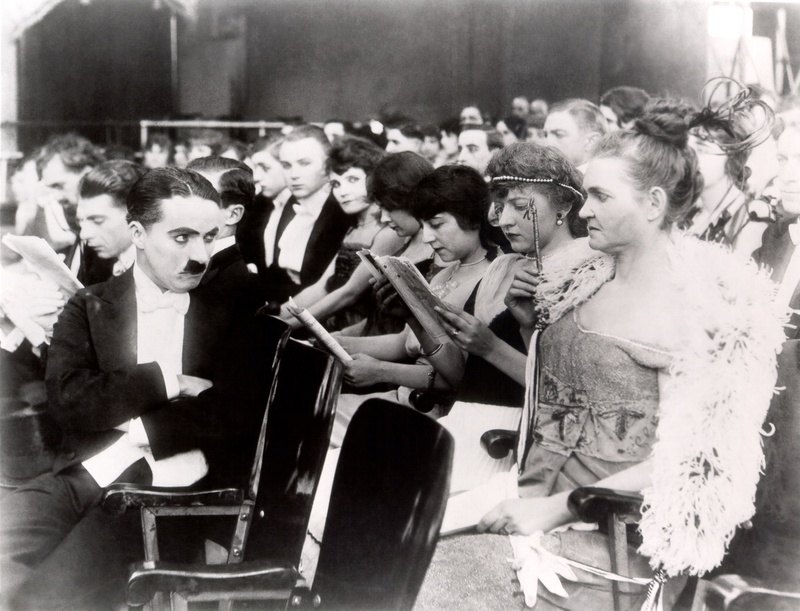 The film was based on one of the most popular acts of the Karno Pantomime Company, "Mumming Birds," or, as it was known when Chaplin was playing it with great success on the American stage, "A Night in an English Music Hall." The film was usually billed as "A Night at the Show." 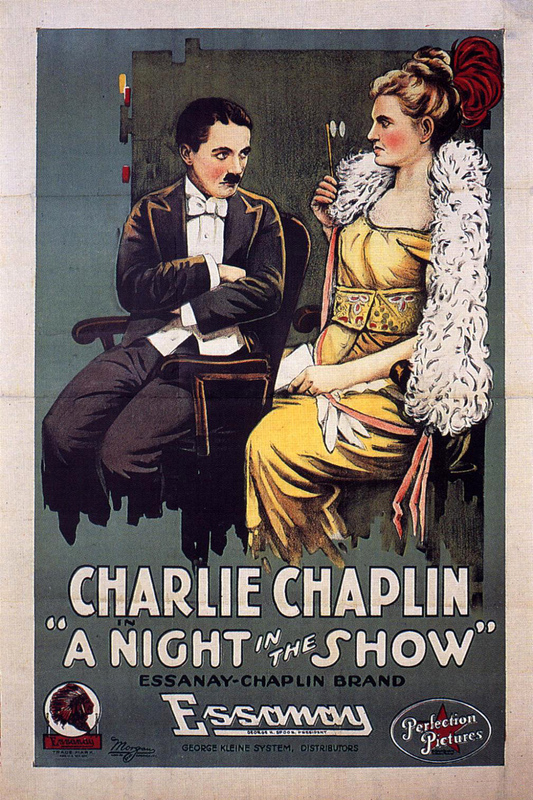 "The newest Chaplin, "A Night at the Show," contains the comedian in a dual role: with plastered hair and respectable evening attire; and, again, in the wildest and most disreputable rig�and an unaccustomed makeup, too�that he has ever assumed. Here Chaplin loses the rails again by reason of no story. And still he is funny. When they showed me this mussy, and at times decidedly unpleasant visual narrative I punctuated it with ribald shouts. I couldn't help roaring. Oh, for a Chaplin author!"